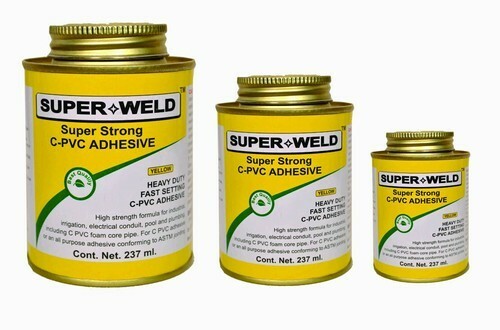 Clients can avail from us quality CPVC Pipe Adhesive. This adhesive is highly durable and is resistant to chemicals, acids, alkalis and water. We ensure that our product is a ideal for the installation of larger pipes and over used as sewerage pipes and storm water drainage. Available in market at economical rates.